On June 7, 2018 NTS Geotechnical Instrumentation Technician Scott Fisher made the discovery of a lifetime. 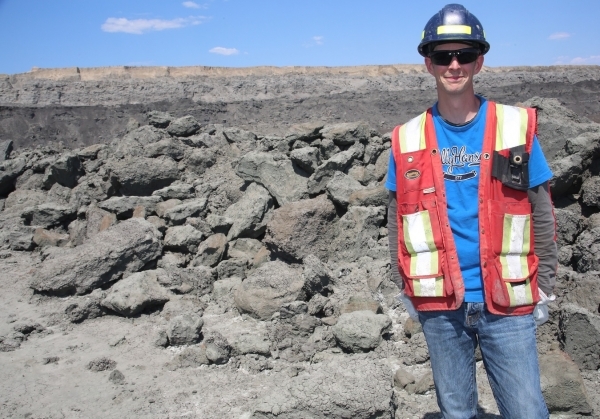 Amongst the rocks of the North Mine at Syncrude Canada, he found the fossil remains of a plesiosaur, a marine reptile that lived during the Mesozoic era. A team of experts from the Royal Tyrrell Museum in Drumheller came to the site, extracted the fossils and transported them to the museum where they will spend the next 2-3 years analyzing the remains. The NTS family is excited too!